Dale Wood has continued his Albert Park dominance in Saturday’s race three with his third victory of the event, while reigning TAG Heuer Pro-Am champion Stephen Grove claimed his first class win of the season. The race started in unusual conditions when the circuit’s starting lights failed, forcing the race to start behind the safety car. After the first lap, the safety car exited the circuit and Wood headed the field into turn one. 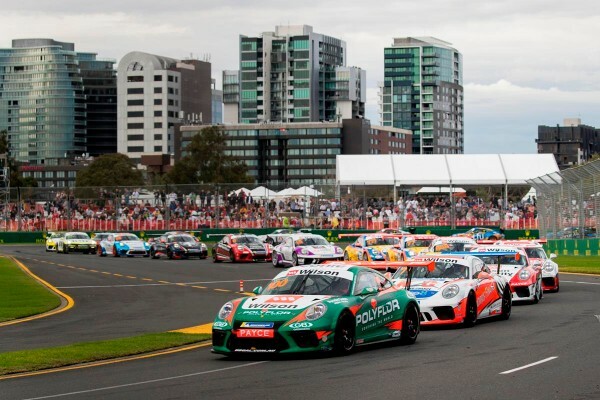 Much like the first two Porsche races at Albert Park, Wood led the charge with Evans closely behind, and despite several challenges for the lead by Evans, the former Supercars driver retained composure and raced to his fourth win of his short Porsche Wilson Security Carrera Cup Australia career. Wood will now aim to become just the fourth driver to claim victory in all Albert Park races following the previous clean sweeps of Alex Davison (2003), Jim Richards (2005) and Craig Baird (2012). “That was a hard race. I could not shake Jaxon and even the tiniest mistake means he’s all over you. It was a tough race, but a good one. It’s a confidence booster but we can’t get complacent. I’m absolutely loving it,” said Wood. Evans once again finished a narrow second in race three, with Alex Davison continuing his comeback from a race one post-race penalty to place third by the chequered flag, impressively navigating his way past fellow Pro racers to lead home a four car battle pack also consisting of Michael Almond, Jordan Love and Nick McBride, who finished sixth after starting ninth on the grid. Dylan O’Keeffe placed seventh from James Moffat, who came together with his teammate David Wall on the final corner of lap three, resulting in the Wall Racing duo spinning and subsequently dropping down the order. Moffat recovered to finished eighth, while Wall ultimately placed 14th. Stephen Grove’s fortunes changed dramatically from earlier in the weekend with victory in the competitive TAG Heuer Pro-Am. 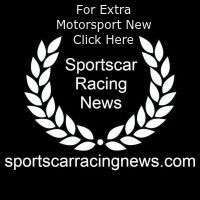 After Grove failed to finish race one, a strong performance in race two and an equally impressive showing in race three elevated Grove to the head of the Pro-Am field at the race three finish. The result was Grove’s maiden 2018 victory and his first class win since the opening race of the 2017 Gold Coast season finale. Race two Pro-Am winner Tim Miles placed second in class from Dean Cook, Greg Taylor and Max Twigg. Sam Shahin was sixth in the TAG Heuer Pro-Am from race one and race two class winner Roger Lago.